The Best UK Magic Blogs from thousands of UK Magic blogs on the web using search and social metrics. Subscribe to these websites because they are actively working to educate, inspire, and empower their readers with frequent updates and high-quality information. Facebook fans 18,720. Twitter followers 6,440. About Blog Slightly Unusual are known as the Comedy Illusionists. They are a multi award winning magic and illusion act specialising in the corporate and wedding sectors. Facebook fans 3,468. Twitter followers 5,776. Boscastle, Cornwall, UK About Blog The Museum of Witchcraft and Magic (MWM) explores British magical practice, making comparisons with other systems of belief, from ancient times to the present day. We aim to represent the diversity and vigour of magical practice respectfully, accurately and impartially through unique, entertaining and educational exhibitions, drawing upon cutting-edge scholarship along with the insights of magical practitioners. Facebook fans 19,838. Twitter followers 14,742. Hull About Blog Rich Reynolds is a Modern Close-up Magician for Weddings, Parties and Corporate Events. Facebook fans 1,235. Twitter followers 74. Birmingham About Blog Owen Strickland is a wedding magician in Birmingham. Follow us to keep up with articles on close up magic. Facebook fans 1,947. Twitter followers 511. Cardiff About Blog Cardiff magician James Hawker is a close-up wedding magician & event magician based in Cardiff, Wales. Facebook fans 6,973. Twitter followers 242. Reading, Berkshire About Blog Dan Hudson is a member of the world famous and most prestigious magic society, The Magic Circle. He is a magician entertainer providing excellent magical entertainment. Facebook fans 463. Twitter followers 197. Edinburgh, Scotland About Blog Edinburgh International Magic Festival is an annual arts festival that celebrates magic. Founded in 2010, it produces the UK’s largest magic event, has consulted for the National Theatre of Scotland. Our mission is to promote magic as an art form, to provide a platform for the Scottish artists’ development and to attract a wider range of people into the arts. Facebook fans 6,022. Twitter followers 2,084. 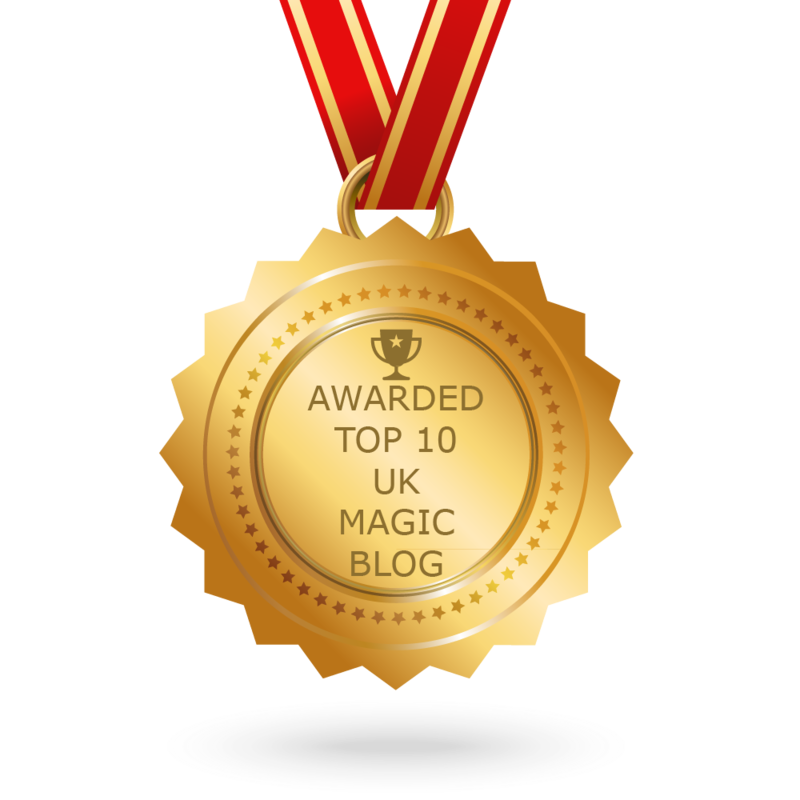 CONGRATULATIONS to every blogger that has made this Top UK Magic Blogs list! This is the most comprehensive list of best UK Magic blogs on the internet and I’m honoured to have you as part of this! I personally give you a high-five and want to thank you for your contribution to this world.